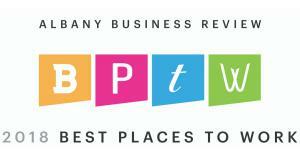 ALBANY, NY, UNITED STATES, November 12, 2018 /EINPresswire.com/ -- Auto/Mate Dealership Systems announced today it has been named one of the "Best Places to Work" in New York's Capital Region by the Albany Business Review. Auto/Mate is one of 12 companies honored in the “large companies” category with more than 150 employees. This is the ninth consecutive year that Auto/Mate has received the award.